The term proximal development might not be something that one might have heard in everyday conversations but chances are you have experienced at some point in your life. To truly understand proximal development we at Hallmark Public School, counted among top 10 CBSE schools in Panchkula, believe one needs to understand Scaffolding. This is the process of providing children various instructions to help reach a better level of understanding. This process is best described as providing training wheels to students so that they are best able to achieve the desired result on their own. To ensure that the learning gaps are bridged i.e. the difference that exists between what a child knows and what they are expected to understand and perform at every given point of their education. A concept introduced by Soviet psychologist Lev Vygotsky, it is what a child is able to achieve by a certain amount of help provided by an adult. In our classrooms, we ensure that the students are provided with adequate guidance to ensure they operate in their proximal development zone. Every concept is taught to the students through a variety of tasks which help them draw a comparison between what they already know and what the new task is teaching them. The variety of instructions provided to the student change as concepts are understood and applied by the students to everyday scenarios. A teacher will, for example, start with simple arithmetic functions taught in previous classes and then move on to complex equations while drawing on knowledge from what has already been taught to the students. 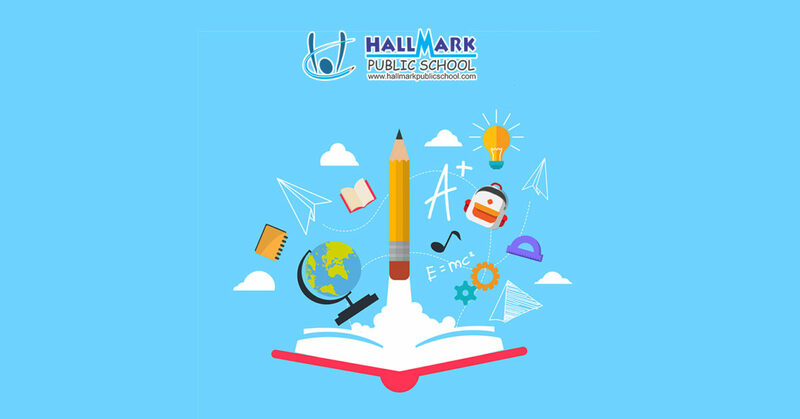 We at Hallmark Public School deemed as the best CBSE school in Panchkula implement this technique to inculcate independent problem-solving skills which are essential for the future development of the child.